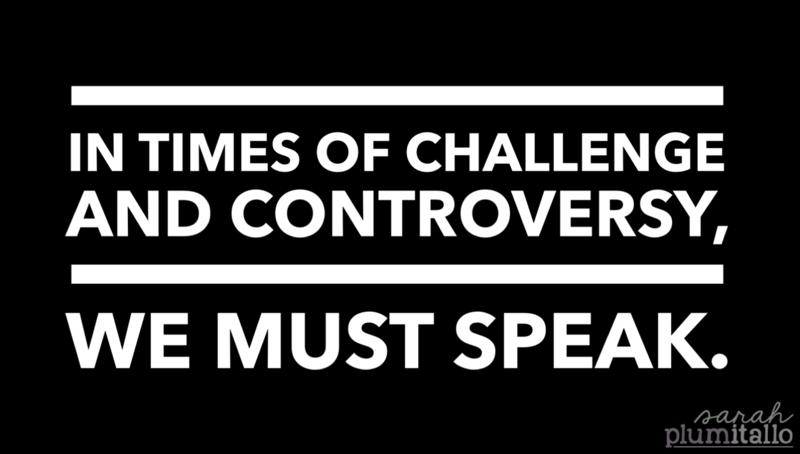 In Times of Challenge and Controversy, We Must Speak. Close your eyes. Picture someone you love. Think about everything that is good about them – everything that makes you smile, the lightens your heart and brightens your day. As I speak my heart in this post, everytime you are tempted to close the window because of complicated feelings – I want you to picture them. Picture their lives being reduced to a hashtag, R.I.P. meme, or 24 hour media coverage. Then take a breath, and just exist in the discomfort of our current reality. For it’s important we feel discomfort in these times. As a white teacher, I am tasked with teaching the children that enter my classroom – not the children that reflect my racial makeup, my gender, my sexual orientation, my socioeconomic status, my religious affiliation – but the children that actually walk through my door. This means that I cannot afford to be blind to anything about who they are. Who their families are. Who their community is. What they are facing. We cannot afford to be blind. We cannot afford to lift the veil of privilege and be awoken only in times of tragedy, either. We must greet each day with eyes wide open – eyes that see race, that see gender, that see sexual orientation, socioeconomic status, and religion. We must actively look and educate ourselves (and our fellow white colleagues) and take part in the conversation about all of those things. But today, now, in this moment… In this moment we must actively engage ourselves in listening to our brothers and sister of color. We must understand that we cannot understand. We must welcome the discomfort of unpacking all the layers that exist when talking about the deaths of black Americans at the hands of law enforcement – racial bias, systemic racism, white privilege, socioeconomic privilege, a justice system that is flawed. Add no qualifier to that statement. It doesn’t need one. Affirm that the lives of your friends, colleagues, students, and community members of color matter. They matter so much, indeed, that you need not add any “but” or “and” to that statement. You needn’t compare their lives to any others. They are loved. They have worth. They matter. They matter not just today because they are in mourning, not just because they are fearful for their sons and daughters, brothers and sisters, friends and community… they matter not just because there’s a hashtag or a social media movement. They matter everyday. Every moment. Every breath, every blink of an eye, every word. We can do better. We must do better. We will do better. If you affirm that we must do better – that even though we understand that we cannot understand we will not stop until the dying stops – there are things that you can do. That I can do. That we will do. 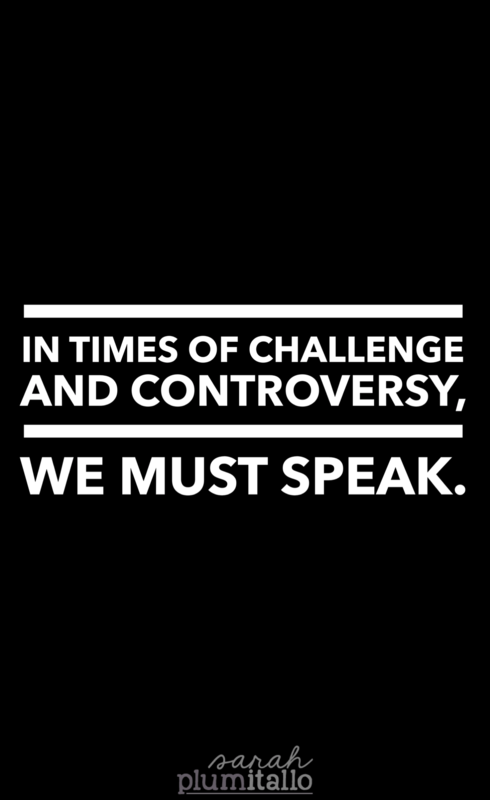 As I wrote in a prior post on race, we must listen more than we speak – exponentially more. We must be willing to feel uncomfortable in that process… We must be willing to be exposed to thoughts, ideas, positions, and action that makes us feel discomfort. Are you thinking of that person you love? Think of them often as you listen. Allow that love you feel for them to open your heart to justice for the people that so many love that are dying in our streets. Do not wait for another tragedy to be informed. Read on issues of race. Follow teachers of color on social media. Engage in your community and find avenues to be an ally. Do all of this with the expectation that you are responsible for educating yourself – and then help to educate your colleagues. It is not up to people of color to educate us. We must do that ourselves. My friend Tamara has an incredible list of people compiled to start informing yourself about social justice. Please take your time, read hand find those that you can listen to. She, herself, is one of those voices. 3. Amplify the voices of people of color. Share their stories. Their message. Re-tweet, share on Facebook, repost on Instagram. Leverage your sphere of influence to support their voices being heard, because their voices should be the loudest. Their voices are the most important in this conversation. We must honor them, their feelings, their reality. Stand with me, in this time of challenge and controversy. Stand with me and act so that we are better. We will do better for our friends, our family, our colleagues, our community, and most importantly – our students. We will do better because their black lives matter.